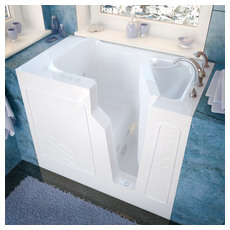 Walk-in tubs are seated tubs that have airtight seals to avoid any leakage. 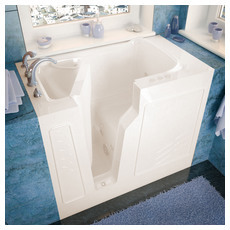 These tubs are great for elderly people, the disabled, and anyone else that would like the convenience of a seat while they bathe. 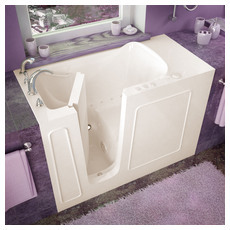 They are smaller and wouldn't take up much space in your bathroom. They are available in some different styles and colors. They also come with a variety of hydrotherapy options as well. Some also have options for grab bars and mostly all are non-slip tubs. Doors on these tubs have the options of opening outward or inward, be sure to check to make sure the tub you're looking for opens the way you hoped it would.